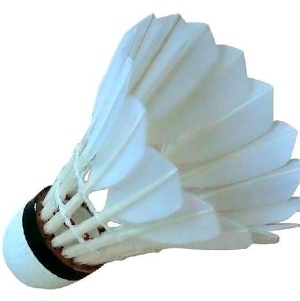 One of my favorite sports bloggers, Joe Posnanski, has written a really funny piece about the Olympic badminton scandal involving eight players from three countries, who intentionally tanked their doubles matches. Joe does a great job explaining the round robin system that incents players to lose. When I think of an athlete taking a dive, it’s usually for money, like the Black Sox Scandal of 1919. Or Marlon Brando’s character in On the Waterfront. The athlete has to be subtle, so that his sabotage goes undetected. So how, I wondered when I first heard the story, would one know if an Olympic-level badminton player was throwing a match? Turns out it’s not difficult, when everyone on the court is trying to lose. It’s also hysterical… unless you traveled to London for the Olympics and paid a tidy sum for your ticket to watch badminton, of course. If both you and your opponent desperately want to lose, you can’t do anything but play your absolute, humiliating worst. If you try to up your game even a little, to look more convincing – say, because everyone in the building is booing you – your opponent can put forth just slightly less effort and win. Er, I mean… lose. The only solution is, everyone puts forth as little effort as possible. I’m surprised these players even bothered to take the covers off their racquets. I second Joe’s recommendation; you have to watch the video. 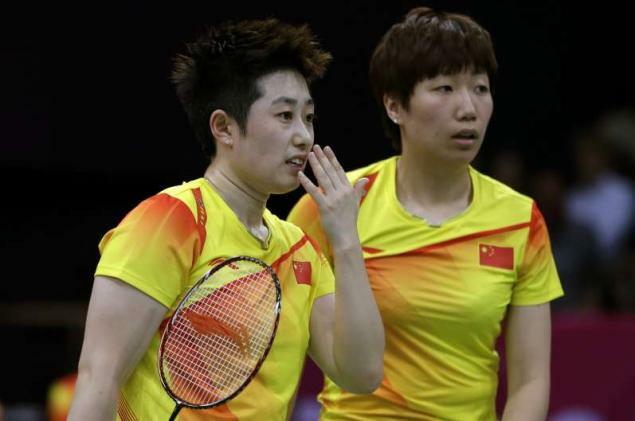 What do you think the Chinese players were saying between points? Given how angry the spectators were, perhaps they were planning their escape route for after the match. Anyone else want to caption this?